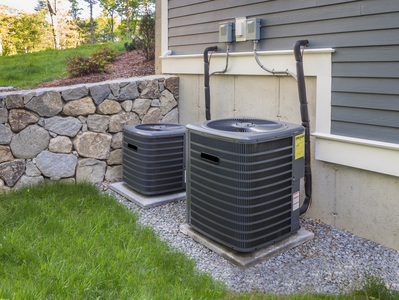 Should You Replace or Repair Your Home's Cooling and Heating System? No one wants to experience the frustration and expense of dealing with a heating or cooling system repair, but all home appliances eventually break. While most issues can be solved by a repair, it's not always advisable to go this route. If you're trying to decide between repairing your old unit or replacing it with a new one, this will help you make your decision. Repair Costs Are Too High: High repair costs are one of the most common reasons that homeowners choose a replacement. Frequent breakdowns quickly add up, but sometimes even one system failure may be too costly to warrant a repair. The Equipment Is Old: The recommended replacement age varies from one manufacturer to the next, but an industry standard is 10 years for cooling systems and 15 years for heating systems. Parts Are Unavailable: Occasionally, technicians will run into an issue where parts simply aren't available for a repair. This may be because the system is older, or it may be another issue, such as high demand. Because cooling and heating are critical systems, most homeowners choose to replace a system rather than wait for part availability. Energy Efficiency: If your unit is old and your energy bills are high, it's obviously time to make a change. However, even newer HVAC systems can be inefficient. If you purchased a low-efficiency air conditioner or furnace a few years ago, you may want to upgrade now to offset high energy costs. Your Warranty Covers the Repair: If the repair is covered under your unit's warranty, it usually makes better sense financially to stick with the system you already have. The Repair Costs Are Low: Not all HVAC repairs are expensive. If your repair doesn't require additional parts or hours of labor, you might find that the cost is worth keeping your current unit. Your Unit Still Has Life: If you have a younger unit, you've probably got several more years worth of life left before you need to consider replacement. If your service technician recommends a replacement, you can always ask "why?" so you feel more secure about the decision. If you still have doubts, discuss the situation with the technician so you understand the benefits of replacement vs. repair for your specific unit. A. Borelli Mechanical is always happy to help you navigate the details of this decision. For more information, please visit our website.